282 pages | 24 B/W Illus. Digitalization and computerization are now pervasive in science. This has deep consequences for our understanding of scientific knowledge and of the scientific process, and challenges longstanding assumptions and traditional frameworks of thinking of scientific knowledge. Digital media and computational processes challenge our conception of the way in which perception and cognition work in science, of the objectivity of science, and the nature of scientific objects. They bring about new relationships between science, art and other visual media, and new ways of practicing science and organizing scientific work, especially as new visual media are being adopted by science studies scholars in their own practice. 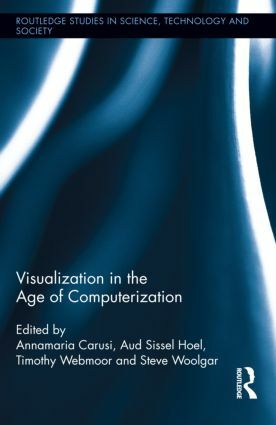 This volume reflects on how scientists use images in the computerization age, and how digital technologies are affecting the study of science. Annamaria Carusi is Associate Professor in Philosophy of Medical Science and Technology at the University of Copenhagen. Aud Sissel Hoel is Associate Professor in Visual Communication at the Norwegian University of Science and Technology. Timothy Webmoor is Assistant Professor adjunct in the Department of Anthropology, University of Colorado, Boulder. Steve Woolgar is Chair of Marketing and Head of Science and Technology Studies at Said Business School, University of Oxford.